Chuck Ketchel, a licensed Clinical Social Worker, has practiced as a psychotherapist since 1984 and is certified in EMDR therapy and hypnotherapy. He studied at Hunter College School of Social Work where he received his master’s degree. Chuck’s earliest mentor was Dr. Efren Ramirez. Dr. Ramirez had been his therapist and was the first to introduce him to existential psychology, Carl Jung, Carlos Castaneda, and the I Ching. In 1972 he recommended Chuck as a trainer for drug counselors at the Training for Living Institute in NYC. Chuck worked at TFL until the program lost funding due to the fiscal crisis in New York City in 1975. Chuck and his wife Jeanne, also a psychotherapist, practiced marital therapy jointly until shortly before her death in 2001. They also trained professionals in marital treatment therapies and conducted seminars for couples wishing to tackle the deeper challenges in marriage and to achieve real intimacy and partnership. Chuck has also trained professionals in the use of active imagination and EMDR as therapy treatments. He is a first-degree black belt in Tae Kwon Do and has practiced the Magical Passes of Tensegrity under the tutelage of Carlos Castaneda, his cohorts, and apprentices since 1995. Chuck’s major treatment specialty is Post Traumatic Stress Disorder (PTSD), where he leads his patients through the healing process of recovering and integrating dissociated parts of themselves as they journey to wholeness. 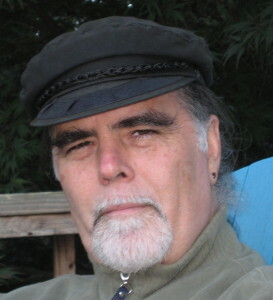 Among other techniques, Chuck utilizes active imagination, conscious dreaming, EMDR, and shamanic Recapitulation to help his patients contact and face their lost selves. Through his work with PTSD Chuck has learned that dissociation experiences, through trauma, have the secondary value of teaching people how to have out-of-body experiences; that is, to access their energy body, which opens the gateway to infinity. For patients inclined to explore their evolutionary potential, this is a goldmine. Throughout their thirty-year relationship, Chuck and Jeanne pondered and explored infinity. After Jeanne was diagnosed with cancer, in addition to exploring alternative cancer treatments throughout the world, they became interested in deeper exploration of out-of-body experiences as preparation for Jeanne’s entry into infinity. In 2008, Chuck published The Book of Us, a memoir of his life with Jeanne through the 30 years they spent together in this world. It also includes some of her messages from the afterlife as channeled by Jan. Chuck lives and practices in New York’s Hudson River Valley with his wife, Jan Ketchel.